A very unique place full of heritage, art and charm The host was a very nice helpful man with a lot of knowledge and makes you feel like home I do recommend this place for people seeking something above the ordinary. Our villa was beautiful and spacious. We had an excellent view of Mt. Otemanu from our private deck. Nir is an awesome host! He really cares about the experience of his guests. He is very personable, interesting and engaging. The sanctuary Nir has created is incredibly unique, lush and exceeded our expectations! Our vacation in Bora Bora is a most-treasured memory, made unforgettable by the hospitality shown by our host Nir, the absolute beauty of the tropical forest and garden surrounding our bungalow, and the ultimate care taken to assure our accommodations were perfect for us. Nir was very gracious to both pick us up and drop us off at the boat docks on arrival and departure. He made sure local transportation was available to get us around on the main island for all of our shopping needs and desires, to explore and join activities on and in the sparkling, turquoise lagoon waters, and to check out a few surprisingly good restaurants. Fabulous: Air conditioned bedrooms, the colonial island-adventure décor, the contemporary kitchen complete with all appliances and tools to prepare meals, the short walk along the landscaped rain forest path to the gate of our bungalow's property, and the awesome view of Mount Otemanu from Rohotu Fare property. Complementary bottle of vanilla rum and transfers to restaurants. Nir was a fantastic host and has an adorable cockatiel called Shlomo! We will be back! We loved our host, Nir and his kind and welcoming hospitality. He treated us as friends from the moment we met him. When he asked if I needed anything from town, I said I had forgotten my toothbrush. He gave me one from his own stash. Nir are you laughing right now? 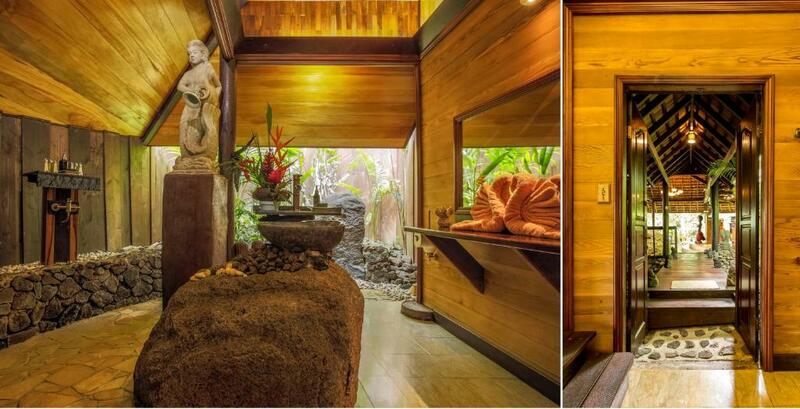 Nir is a sculptor, artist, landscape designer and has created a few bungalows in a secluded tropical garden that he planted himself. The bungalows are set on a hillside, so there are beautiful sunset views to enjoy from the top of his property. 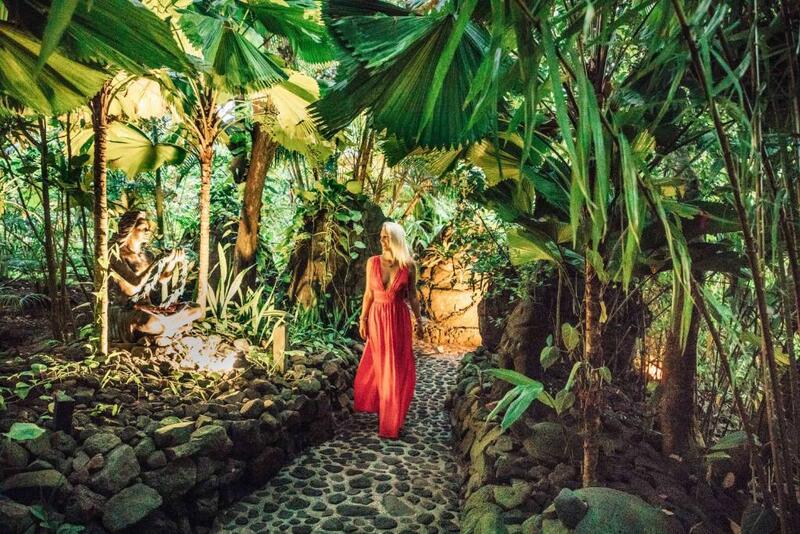 I enjoyed the romance of the carved four poster bed, his beautiful carvings of women, the open air kitchen overlooking the lagoon, showering under the mermaid sculpture, the ginger growing in the bathroom garden, the winding paths he hand built with tikis set along the path. He arranged a Lagoonarium tour with a local guide for us to swim with sharks and Mantas, an experience I will never forget. The bed was very comfortable. Huge spacious bathroom. Friendly host who goes out of his way to service his guests with the greatest customer service, by driving us to the super market & making reservations to restaurants & tours. Beautiful place,the paisaje to the lodge is beautiful,the room are great with a wonderful designed,the nature and forests are Beatifull and the owner to this property the name Nir is the friend ,helpfully person all time his smiles,polite,and wonderful person .i don't have word to describe Nir is also ,and I would like to come back here next year against good luck. Lock in a great price for Rohotu Fare – rated 9.6 by recent guests! Rohotu Fare This rating is a reflection of how the property compares to the industry standard when it comes to price, facilities and services available. It's based on a self-evaluation by the property. Use this rating to help choose your stay! Featuring air conditioning, Rohotu Fare offers accommodations in Bora Bora. Vaitape is 1.3 mi away. There is also a kitchenette, equipped with a microwave, toaster and refrigerator. A stovetop and coffee machine are also featured. Towels and bed linen are provided. Rohotu Fare also includes a sun terrace. Tahaa is 17 mi from Rohotu Fare. The nearest airport is Motu-Mute, 5.6 mi from Rohotu Fare, and the property offers a free airport shuttle service. When would you like to stay at Rohotu Fare? 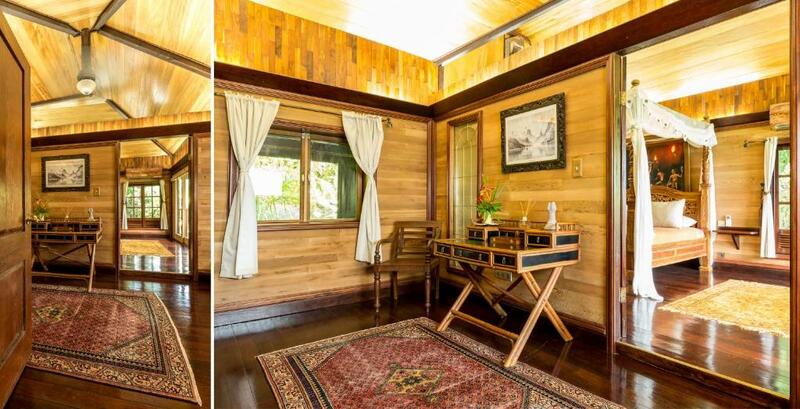 This bungalow features a balcony and a kitchenette with a microwave. This villa features a balcony, stovetop and kitchenette. House Rules Rohotu Fare takes special requests – add in the next step! Rohotu Fare accepts these cards and reserves the right to temporarily hold an amount prior to arrival. Free transfers are available to and from Motu Mute Airport. Please inform Rohotu Fare in advance if you want to use this service, using the contact details found on the booking confirmation. Free shuttles are available to the nearest village, shops and beach. Please inform Rohotu Fare of your expected arrival time in advance. You can use the Special Requests box when booking, or contact the property directly using the contact details in your confirmation. Bora Bora has a few bugs. But none are poisonous and there are no poisonous snakes either. Unfortunately Wi-Fi worked well only on the balcony. Very beautiful hotel!!! 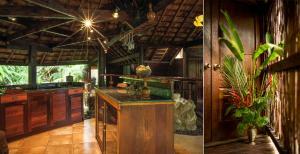 The décorations in the room and garden are amazing! So many beautiful sculptures. I have never seen a hotel like this before. It's a special experience to stay there! The host is very nice and friendly. The location of the hotel is convenient. It's not far from the main town and from the beach. You can take bicycles for free to visit the island. Nir is very nice and generous, so we had a special trip here. 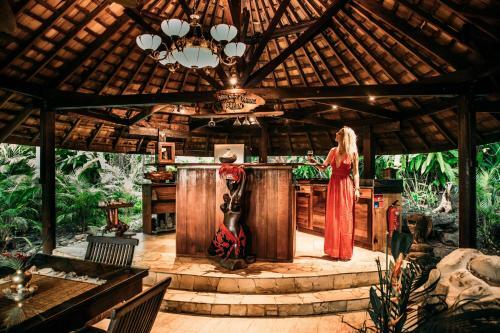 You can have free bikes to visit the island and every detail in each bungalow is studied with the result of a unique,particular location. The kitchen is well equiped so you can easily cook, the open bathroom is a must! We thank Nir, his kindness and we hope to come back! Well what can I say? In about 40 years of travelling this is one of the best accommodations I ever stayed at, if not the best! Nir has made a masterpiece, quite amazing the attention to the details (all details! 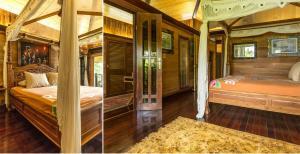 ), for a gorgeous bungalow accommodation within the forest that is also part of the property. He is the kindest host ever, always looking after his guests and their needs. 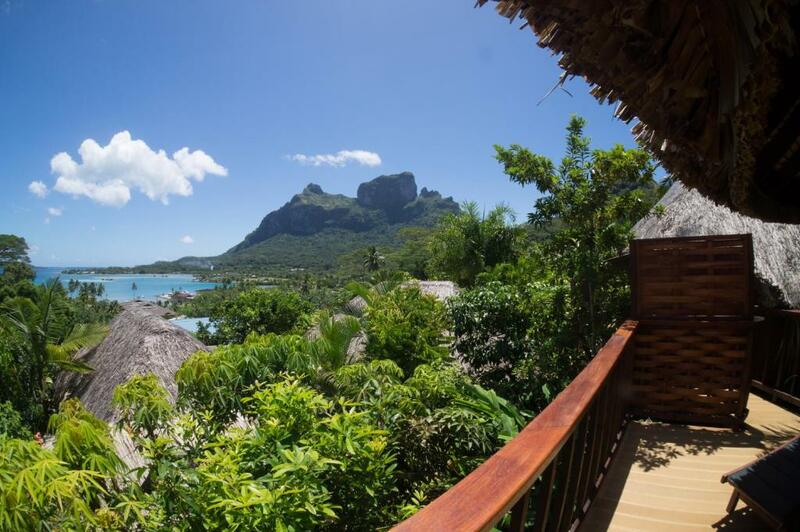 It's not the cheapest accommodation in Bora Bora (but much cheaper than the most expensive!) but given the uniqueness of the place it is really good value. We can't wait to go back!